Many candidates think that their preparation is good enough for banking interview round. They go for the interview, but in the end, they got rejected. Honestly speaking, you can get rejected in the exam, not in your life. You're like ants who are trying to climb the mountain again and again. They don’t think why they are failing? They try harder and finally achieve their success. Always think that you were being rejected because you can do something good in your life. Yes, it’s sad to be rejected in a banking interview while you knew most of the answers. And then, you get curious to know Why you were rejected? Below, we have mentioned some reasons due to which, you might face rejections in IBPS, SBI and other banking interviews. You may have noticed it many times that exam authorities make changes in total vacancies or due to some major reasons, they have to cancel or postpone or revise the exam. As a result, you are left out of getting jobs. It can be handled either by the Government or by the Conducting Authority. Your competitors’ performance may be better than you even if you have given the answers to the questions Politely and Confidently to the interviewer. As a result, you will be rejected in Banking Interview round. Always keep in mind that you are not giving the interviews alone. So, cover all the important topics of the interview and give 100% to beat the competition. Read the complete concepts that can be asked in Banking Interview Round. 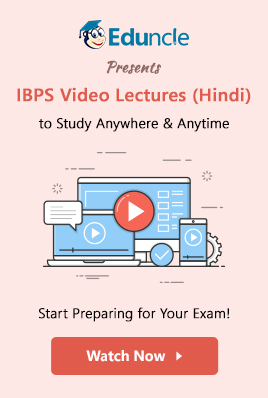 Many of you must have talked with the bank aspirants who have already cleared the interview exam and prepared a strategy to follow it in your interview round. But sometimes, it all fails. It totally depends on the interview’s situation that your strategy will work or not. So, don’t think about it, make your strategy, and prepare for the interview. Arriving late, not dressed up properly or many such things can impact your interview that may get you rejections. The solution to this problem is that you should practice for the interview with your friends or in front of the mirror. It will also help you increase your confidence. You should arrive at least 30 minutes before the interview time with proper dress up. So, take the interview seriously and avoid the rejection in banking interview. Before going to an interview, many students make the most common mistake such as not knowing about the post they’d be hired for. Getting yourself prepared with all the banking terms, its functions and necessary details are not enough, know about your post instead. So, know about your post such as probationary officer, clerk etc. and avoid your rejection in a banking interview. Your nature and a way of talking is the key to avoid the rejection in banking interview. For example, if you don’t know the answer of a particular question and you behave like a perfectionist and debate with your interviewer while you know that you are wrong. Then, your nature will be count in a negative way. So, if you don’t know, then politely speak: - Sir, I don’t know! If you behave very politely and give the answers with confidence, then you can clear the interview round. Yes, banking job is a craze among the graduate students. But rejections may harm their self-confidence and hopes. We are all humans, and we should learn from our mistakes. 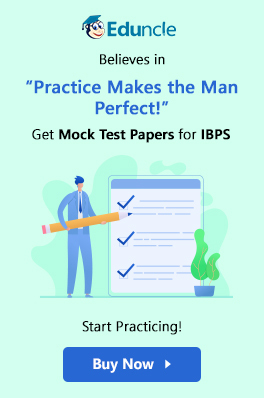 Eduncle have compiled the best motivational tips for IBPS Exams, SBI Exam, and other Upcoming Bank Exams. So, read further to stay motivated. Some candidates take it personally. They think their personality is not good, which is wrong! It is just a process in which interviewer could not find you to be the right fit for the role. So, don’t take it personally and prepare the bank exam again. Your Rejection can’t stop you from getting a bank job. Think about what went wrong because of which you have been rejected. Avoid the previous mistakes and prepare the exam with more efforts. This time, you will definitely clear the interview. Wherever you see scope for improvement, turn it around in your favor. So, shrug off the past and rebound after an interview rejection. You cannot escape the banking interview round, but you can surely prepare well for the interview and get the job in banks.